Did you know that 70% of the earth is covered in water? Did you know that from all the water on earth, only 1% is safe for drinking? Did you know that 67% of all water usage is used outdoors? That means all the indoor water usage like showers, sinks, toilets etc. would have to more than double in order to equal the outdoor water use. The price of water is rising quickly in many areas of the country. 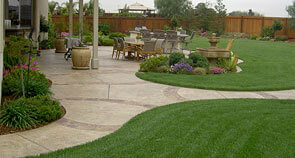 Advanced Irrigation Inc. is committed to conserving water with our water efficient irrigation designs. 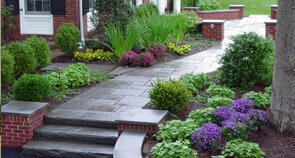 Our goal is to save water with a well working sprinkler system while maintaining a healthy landscape. Advanced Irrigation Inc. installs smart products that are proven to save 20% – 50% on water usage by calculating evapotranspiration (ET). The ground evaporates water and plant material transpires water, so together it is called evapotranspiration. Each day there is a deficit of ET that has been lost and then needs to be replenished. The smart controller calculates the ET in real time based on actual weather station monitoring 24 hours a day. It has been said, “If you don’t like the weather, just wait a day because it will change.” Advanced Irrigation installs smart controllers that are constantly in real time communication with an on site weather station for immediate notification of a rain event and up to the second temperature updates including freezing conditions. 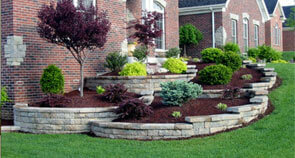 Conventional irrigation controllers accept a time based setting for each zone. While in some cases the traditional 20 or 30 minutes per zone may have some correlation with the watering needs of a property’s diverse plant life, this input can often result in over or under watering and be unhealthy for the landscape. Even more concerning, the time based input is static, so it cannot change with the varying needs of the plant life that are driven by changes in weather and seasonality. Smart controllers equipped with an on site weather station, can operate in an automatic adjustment mode, which serve to replace time based watering schedules with weather based watering schedules. The weather based watering schedules are calculated for each zone using the unique characteristics of each microclimate throughout the yard. By programming in the precipitation rate, plant type, soil type, slope, and sun/shade exposure, the smart controller will automatically adjust the duration of watering time for each zone with the information received from the weather station, which measures the wind, temperature, humidity and solar radiation. By measuring those four weather factors, the controller can calculate the ET for that day and adjust each irrigation zone independently for the right amount of water in the right place at the right time, thus saving a proven 20% – 50% in water. Advanced Irrigation is focused on efficiency and uniformity which provides unmatched results with a customer base of over 1000 homes and businesses whose trust we have gained through years of quality craftsmanship and customer service that far exceeds today’s standards. Let Advanced Irrigation Inc. help you stop wasting water on your existing irrigation system or your conventional hoses.